This exceptional Princess cut half diamond eternity ring features 0.65 carats of Princess cut diamonds, channel set within a comfortable court profile band, crafted over 4 weeks and set with G colour VS clarity Princess cut diamonds. 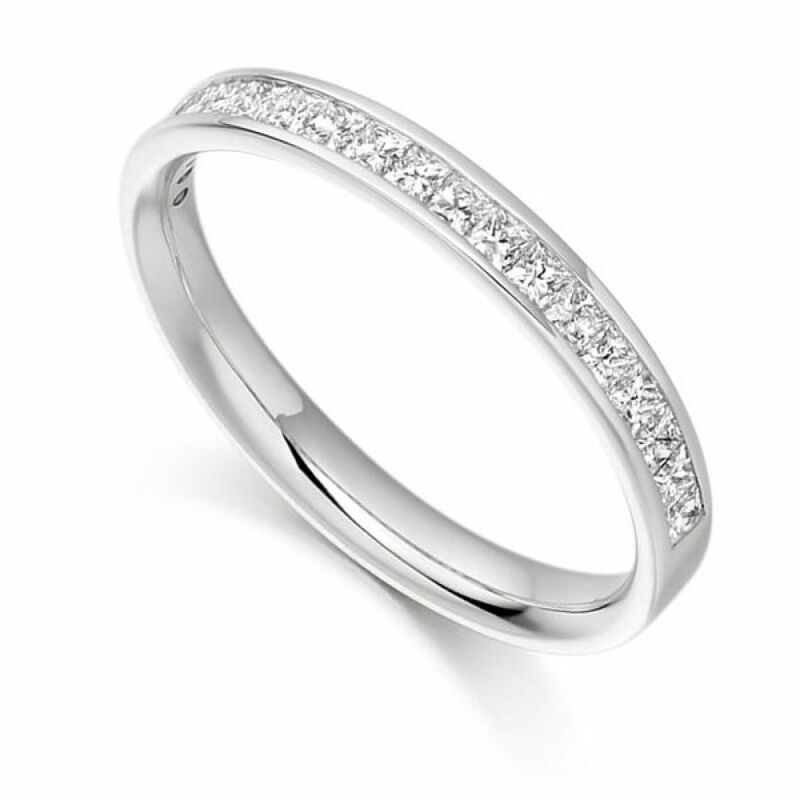 This elegant half-set Diamond ring can be worn as either a Wedding Band or Eternity Ring. The timeless design of this ring means it will suit each purpose perfectly. Set with 0.65cts of Princess cut Diamonds within a 3mm band, this design it featured amongst some of our most popular half-set Wedding/Eternity Ring styles. The Diamonds are precision set within a channel setting, and have been expertly graded F Colour and VS1 Clarity prior to being set into your ring. 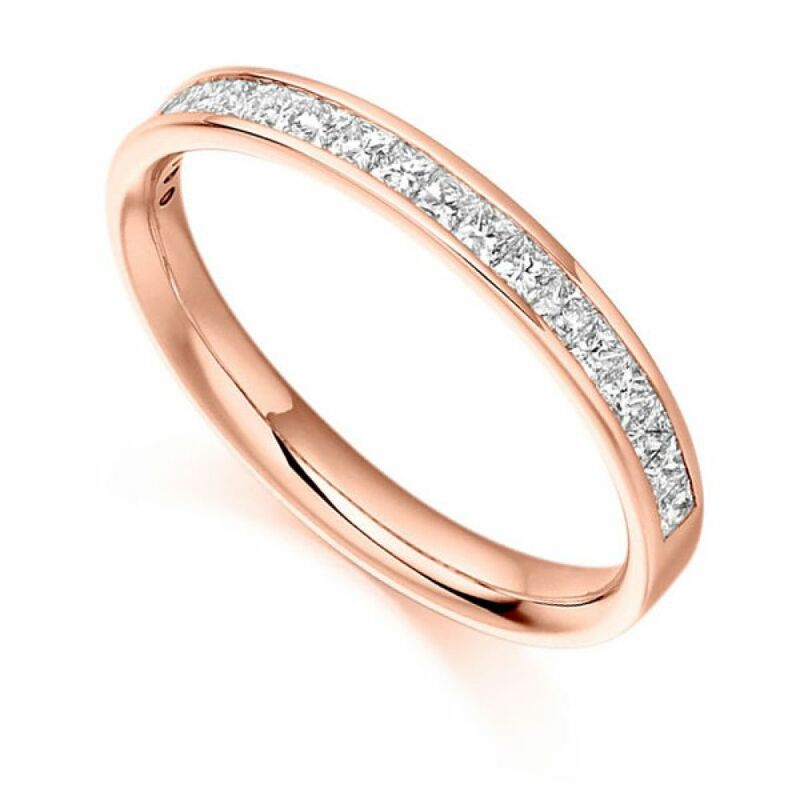 We can create your ring in a number of different precious metals, including 18ct Rose Gold, 18ct Yellow Gold, 18ct White Gold, Palladium and Platinum. We will craft your ring for you over an approximate of 4 weeks, after which it will be delivered straight to your door by a secure courier, presented in our beautiful Serendipity Diamonds packaging. There is also the added reassurance of our 60 day returns and a lifetime warranty once insured.